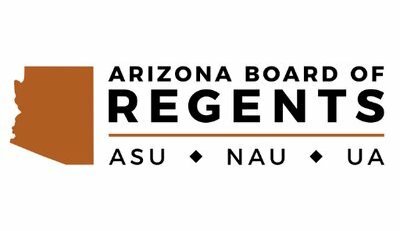 The Arizona Board of Regents will evaluate the findings of a recent study detailing the economic impact of the Arizona Public University Enterprise during this week's meeting at Arizona State University's Tempe campus. The regents commissioned Elliott D. Pollack & Company and The Maguire Company to conduct an independent analysis of the economic and fiscal impact driven by public university spending in fiscal year 2017. The Arizona Public University Enterprise is estimated to have generated 84,355 jobs and $11.1 billion in economic output. In addition, Arizona's public universities generated an estimated $452 million in state, county, city and other local government tax revenue in fiscal year 2017. Master of Arts in education policy – This program will provide students with an understanding of education policymaking history and process to analyze data and inform policies. Master of Science in entrepreneurship – Students will be prepared to address the needs of the rapidly changing world by developing an entrepreneurial mindset. Students will work on creating new ventures in a remote team environment to work on business plans and new venture presentations. Bachelor of Science in applied physics – Students will receive training in interdisciplinary teamwork, experiential learning and communication to better prepare those who seek work in the private sector. Bachelor of Science in emergency medical service – This program is designed to provide paramedics with the scientific background, clinical expertise and leadership skills needed to advance their careers and function as leaders in the health care industry. Bachelor of Applied Science in cyber operations – These courses will be designed specifically to prepare graduates for entry into a number of cyber-related occupations in defense, law enforcement and private industry. The regents will discuss student mental health issues. The board will receive an update from the universities on their activities at the federal level. The board also may be asked to consider legislation affecting the university system and possibly approve positions regarding the legislation. The regents will discuss possible revisions to the guidelines for the Regents High Honors Endorsement tuition scholarship. RHHE awards were previously tied to performance on the Arizona Instrument to Measure Standards, but the test was discontinued in 2014.